Sport and Health - Prosthesis and sports - Prosthesis - Is judo after total hip replacement possible? Today, more and more sportsmen are candidates for replacement. These patients are demanding on the functional performance of their prosthesis. Numerous epidemiological studies have shown that sport with a prosthesis are possible, including golf, skiing and tennis. However no investigation has been conducted to date, for judo. We wanted to know whether the practice of judo can be continued after THA. We identified 36 total hip replacements in 27 patients, 10 total knee 8 patients and 3 shoulder prostheses in 3 patients. There were 27 patients with a total hip replacement, mean age 63 years (60 to 82) at the time of surgery; Fifteen patients (55%) said they had been made to continue the practice of judo. Twenty-two patients (81%) returned 2.5 judo regularly once a week (1-4), in a short period of 3.9 months (2 to 10). However, they have all but one changed their practice (randori theme or demonstration). Finally, their surgeons had recommended them to stop judo in 65% of cases. 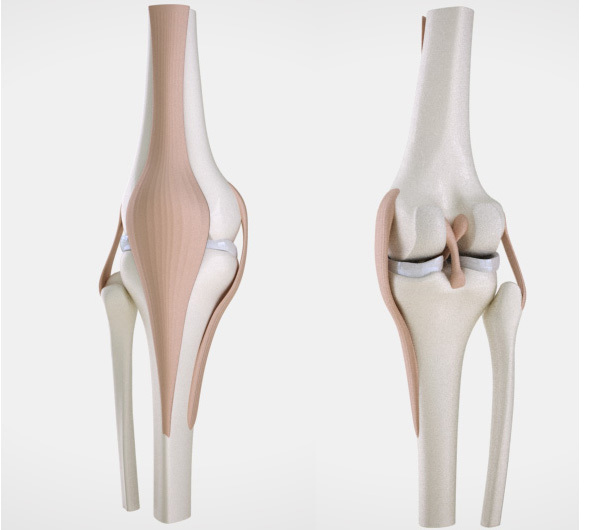 Twenty five (92%) patients were satisfied with their prosthesis. Only 2 patients on PTH 26 carriers had a total hip replacement recovery for wear. We have identified no dislocation or fracture. Wearing a total hip replacement does not seem to limit the practice of judo. Functional results are satisfactory. A clinical and radiological study seems necessary to confirm these results. The results on total knee prostheses are more reserved, it seems that the practice of judo is more difficult with his older athletes. 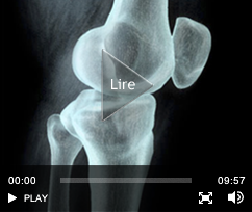 Today, the average age and life expectancy of the French population and increasing prevalence of hip osteoarthritis. 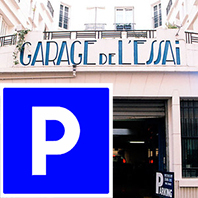 Approximately 140,000 total hip replacements are laid each year in France (17). Although the average age of the French population supporting a total hip replacement is 65, more and more young and active patients are candidates for replacement. 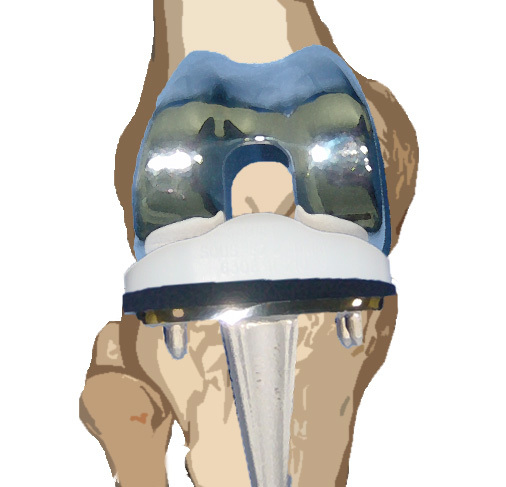 Following numerous studies on the sport after a prosthetic surgery many orthopedic surgeons advise their patients a reduction in physical and sports activities after total hip arthroplasty because of the theoretical risk of increased wear and thus the prosthetic a risk of prosthetic earlier revision surgery. In 1981, Chandler et al (1) in a study of 29 patients (33 PTH) under 30 years, shows that 66% (10 of 16) of patients needs revision surgery had an intense physical activity. Dor Conaty and (3) have a higher wear rate in young patients under 45 years (22% wear in 24 patients) and suggest that this premature wear is related to intense activity due to their young age. Visuri and Honkanen (16) advise their patients to avoid high-impact sports such as running, jogging and ball sports. They studied 539 patients at a mean follow-up of 4.2 years (1 to 9) and concluded that the risk of loosening and revision surgery was lower in patients with regular exercise in unrestrained sports. Indeed, they had only 26 of 366 patients (7%) of reoperation in patients with moderate exercise. Kiglus et al (7) have defined two categories of low and high impact sports and compared the results of a series of operated prostheses. High level of impact sports include tennis, jogging, horseback riding, racket sports, mountain hiking, handball and heavy loads of activities. Sports activities are low impact from this study: swimming, golf, bowling, hiking, leisure, cycling, skiing on groomed trails and recreational tennis. Finally, there was a third group of inactive patients. In this study, there is a higher rate of prosthetic revision surgery in patients who had a high physical activity level of impact: 28% (7 of 25 patients), while the recovery rate among patients with to low impact activity was 6% (42 of 663 patients). Ritter (12) in 1987 sent a questionnaire to 169 patients followed for at least 3 years. He concluded that the practice of a low impact sports such as walking, golf or bowling did not increase the risk of repossession. In 1992, Mallone and Callaghan (8) sent a questionnaire to 115 golfers bearer of a total hip replacement. They found that these patients could practice their golf business (low impact level) without affecting their arthroplasty. Mont (10) in 1999 conducted a study of 58 players carrying tennis THA, 75 hips. He obtained excellent results with only 3 times surgical followed by 8 years. Through these studies, it appears that some sports are more favorable than others. A literature review revealed no study so far was conducted to determine whether the practice of judo can be continued after THA. 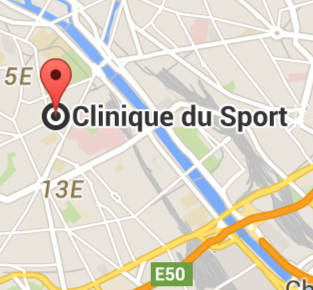 In France, many patients with total hip replacement regularly practicing judo. What brought us to realize our study. A questionnaire was sent to all licensees judokas of the French Judo Federation whose rank was higher than the 6th dan, to identify patients with a total hip replacement or total knee replacement. There was the time of our study 512 judokas dismissed the French Judo Federation whose rank was higher than the 6th dan. We limited our study to women or men aged over 60 years at the time of the study. 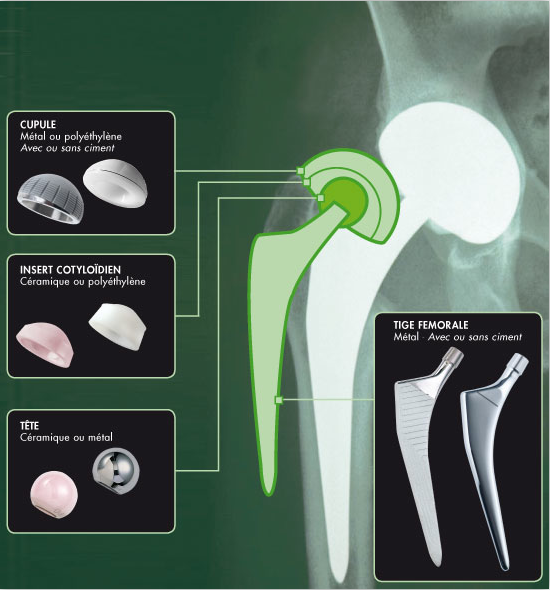 1 - the type of arthroplasty, total hip replacement or total knee replacement, and the indication of arthroplasty. 2 - specific questions about specific judo activity. Finally we asked how satisfied after arthroplasty. Part 1: type of prosthesis. The questionnaire asked judokas had they been operated for a total hip prosthesis, a total knee replacement or other prosthesis. 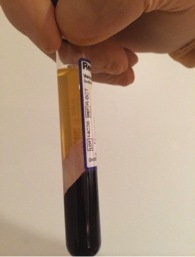 This intervention had it been unilateral or bilateral. We asked them why were they made and what their motivations. 2nd part: judo specific questions. Patients being all black belt in judo, 6th dan, so they had a good command of the art of judo and former and regular practice. The questionnaire was used to find out how long they have practiced judo before being operated, if they still practiced judo before the intervention, at what point did they resumed judo after surgery, they changed their practice, at what level and with what frequency. The questionnaire allowed to know what were the recommendations of their sports surgeon. What had been recommended and advised sports and what sports were practiced outside of judo. Finally, we asked if they were satisfied with their prosthesis. The study also evaluated whether some patients had necessitated a review of their prosthesis and when. Of the 212 questionnaires sent, we had 83 responses (82 men, 1 woman) or 39% of responses. There were 36 patients (36 men) with at least one prosthesis of 83 responses. In total, we had 49 replacements, 36 PTH 10 PTG, 3 PTE. The average age of the study was 72 years (60-86). We have a series of 36 total hip replacements in 27 patients with bilateral 9. The average age at surgery was 63 years (49-82 years). The average age in the study was 72 years (60-86). The average follow-up was 8.8 years (1 to 20). Fifteen patients (55%) said they had been made to continue the practice of judo as their surgeon had recommended them to stop judo in 63% of cases and make an unconstrained sports in 66% of cases. Sports recommended by their surgeon were walking in 55% of cases, cycling in 59% of cases, 40% swimming and golf. Apart from their judo activity, 66% of patients had a walking activity, 48% and 45% of swimming biking. Seven out of 27 regularly practiced skiing. Twenty-two patients (81%) returned judo regularly within a short period of 3.9 months (2 to 10). Their activity was frequent as practiced judo 2.5 times per week on average (1-4). In contrast, 21 of 22 patients who resumed their activity have changed their practice. Indeed, 5 continued their activity Randori free stopping the competition, 9 are passed Randori theme and 21 continued their demonstration activity. 25 patients (92%) were satisfied with their prosthesis. Only twice in total hip arthroplasty of 36 were required to wear and loosening to 6 years and 9 years of decline. There was no dislocation or fracture. This study seems to show that a total hip replacement does not limit the practice of judo. In 1999, Mount (10) published a study of patients practicing tennis club and all holders of a total hip replacement. He interviewed 58 players average age of 70 years (range 47-89 years). There were 75 total hip which 17 bilateral. This article is very interesting because in this population, 14 patients were operated on in order to continue tennis at 24%. In our study we had 55% of patients undergoing continue practicing judo. The resumption of their sport was actually about 7 months after surgery, regularly three times a week, and the same level of tennis. The survival rate of the prosthesis was 96% at 8 years of decline. Contrary to what one might think in the movements of judo, there was no dislocation or fracture. 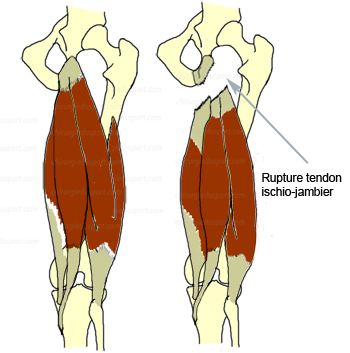 Judo remains a sport of contact with pivot in theory a significant risk of total hip dislocation. The perfect mastery of the art (6th dan black belt) and a more moderate judo are probably the factors explaining the absence of dislocation and fracture. Our study probably because of selection bias has requested that high level judo practitioners, members of the French Judo Federation. This eliminates a patient population previously judokas, who underwent surgery for a hip replacement but having finalized the practice and no longer being fired. The questionnaire could be sent to them. The authors recognize that selection bias. A study of the impact and the actual prevalence of total hip and knee in the population of French judokas would be necessary to obtain more precise information on the judo and denture patients. This type of study would be very useful, but very difficult. Nevertheless, our study allows us to show good results in this population. 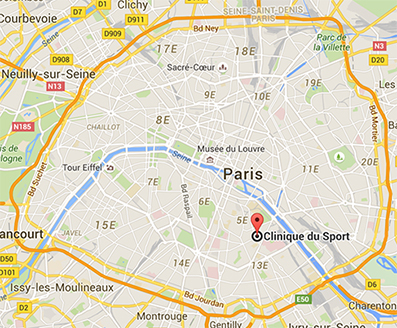 We can not conclude for all French judokas. Some authors have shown that the mobility and strength after total prosthesis can not be totally recovered in the aftermath of the operation. Stauffer et al (15) examined the mechanics of hip after total hip replacement. There is a better range of motion in flexion but a decrease in the rotation, abduction and adduction after arthroplasty. They attributed this to the technique of total hip replacement using a trochanterotomy. They also discuss the scar, muscle denervation hip and capsular fibrosis limiting the movements of the joint. It is estimated that patients who participate in a high level of sports impact after prosthesis are more likely to have a prosthetic revision surgery. Only 2 hips in our study were reviewed at a mean of 8.8 years follow-up. In 2000, Gschwend (5), in a prospective study of 10 years, compared 50 patients practicing track skiing and 50 sedentary patients all holders of a total hip replacement at 5 and 10 years of decline. At last follow, he showed more wear among skiers, 2.1 mm wear compared to 1.5 mm wear but without surgical recovery. In a sedentary patient, polyethylene wear of a total hip replacement is 0.10 mm / year, while it is 0.39 mm / year in active patients, the decline in 7 years. Podometric a study (13) showed that polyethylene wear is correlated with the number of daily steps and 30 mm3 are polyethylene waste per million of cycles not walk, for about 70kg. So it seems that intense physical activity increases polyethylene wear, and thereby reduces the life of the prosthesis. Perrin (11) has a greater recovery rate of mechanical wear in active patients. Nevertheless, the relationship between prosthesis revision rate, age and physical activity level gives, depending on the work, discordant results. Indeed Dubs (4) compared two groups of patients after total hip arthroplasty with 61 of 109 (56%) participating in intense sports activity. He found a much higher rate of revision surgery due to excessive wear in the group not participating in a sport. Seven recovery of 49 (14%) against a recovery of 61 (1%) in patients with intense sports activity. However, in a study by Kilgus (7) 91, 28% (7 of 25) of active patients required reoperation compared to 6% (42 of 663) of patients with moderate physical activity. The recommendations made by the members of the "HIP Society" in 1999 (6) are summarized in Table 1. The results of the survey of 54 senior surgeons now possible to help us in the direction of the sport of our patients. The findings of this study show that licensed sports in patients with a total hip replacement are the low-stress sports, without pivot touch. Must be avoided learning a new sport but can tolerate some sports if the technique is previously known and controlled. Finally, we must warn the patient of the risks of excessive wear in intense sports activity. Our study suggests that the rate of revision total hip arthroplasty at our judokas is not worse than patients in the general population less active or inactive. For information, the average lifespan of a total hip replacement in the general population is about 94% survival at 15 years and 77% survival at 25 years, while in the population of patients under 50 years so active, survival is 88% at 15 years and 69% at 25 years. Unfortunately, because of selection bias in our study, no conclusions can be made regarding the rate of revision. We recognize that the inclusion criteria of this study give us a self-selection for positive results. It is likely that a significant judo activity is a risk factor for the wear of the prosthesis and thus a higher rate of total hip prosthesis recovery or knee but this was not the case in our study for patients who have had problems with their hip replacement or knee probably have not been included in this study. This study also has a limit because it is a retrospective review without control group. We also recognize that this type of questionnaire can change the perception of how the patients felt their behavior before and after surgery and so on possible events after surgery. The results of this study do not allow us to conclude whether sport high level of impact as judo is authorized or against-indicated after total hip arthroplasty. As this was not a retrospective study, we could not make a radiological study. We therefore can not say if the continuation of judo causes increased wear of polyethylene, risk of bone loss and increased risk of loosening. The only failure criterion was revision surgery. We do not also had radiographic evidence of this failure. A prospective study on a group of patients practicing judo with a control group before and after total hip or knee replacement is necessary to determine if judo has a negative role on arthroplasty. The recovery in sport and physical activity after joint replacement is a question often asked by the patient to the surgeon but also the sports doctor and the attending physician. The practice of regular physical activity is desirable for the cardiovascular system and the musculoskeletal system, we must encourage the resumption of a sport but also know the risks. In our study, the low failure rate and the high degree of satisfaction of these 27 patients show that they are able to practice judo regularly. But these results can not give recommendation when in judo after THA. Future studies are needed to determine the consequences (clinical and radiographic) Long term judo after THA. (2) U Chatterji, Ashworth MJ, PL Lewis, PJ Dobson. Effect of total hip arthroplasty is recreational and sporting activity. ANZ J Surg. 2004; 74: 446-449. (6) Healy WL, Iorio R, MJ Lemos. Athletic activity after-seal replacement. Am J Sports Med. 2001; 29: 377-388. (9) McGrory BJ, Stuart MJ, Sim FH. Participation in sports after-hip and knee arthroplasty: review of literature and survey of surgeon preferences. Mayo Clin Proc. 1995; 70: 342-348. (14) Seyler TM, Mont MA, Ragland PS, Kachawala MM, RE Delanois Sports activity total knee arthroplasty and hip after-: specific recommendations concernant tennis. Sports Med. 2006; 36 (7): 571-83.